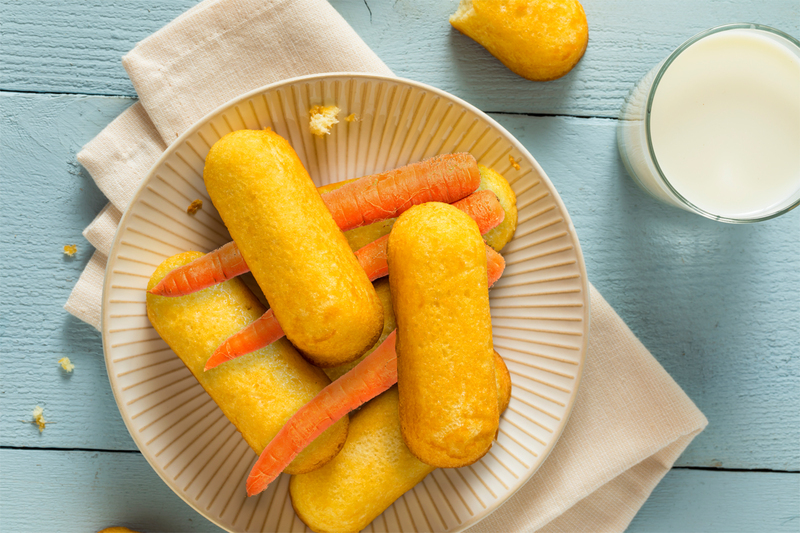 An agricultural economist writes that treating Twinkies and carrots as the beginning and end of the farm subsidies discussion distracts from useful public discourse. Haspel added: “The idea that wholesome foods are expensive and junk foods are cheap because of the system of subsidies in the farm bill pervades the conversation about food policy. But that idea has one very big problem. It’s false.” She points out that vegetables would cost more to produce than the corn and soy in junk foods, regardless of the federal subsidies determined by the farm bill. According to one of the economists with whom Haspel spoke, those subsidies account for only “a penny and a half” of the cost of the Twinkies and three cents’ worth of the cost of the carrots. This point is worth examining—and it points to a much larger, more complex set of facts about our food system. As Pollan and other farm policy reform advocates routinely point out, the impacts of government farm programs reach far beyond those that can be easily translated into quantities and prices. Government-subsidized crop insurance, farm loans, tax credits, agricultural research and education, as well as environmental and public-health exemptions for farming have all helped shape the basic structure and function of the agri-food industry. Prior to the 1970s, federal farm programs existed as a way to keep enough family farmers on the land to provide food security for the nation. The basic strategy was to stabilize farm incomes at levels that would keep farming profitable and food prices affordable. The 1970s brought a dramatic shift, as agricultural efficiency became the goal. The model of choice for accomplishing this new policy objective was industrialization: specialization, standardization, and consolidation of control. Farm programs shifted from stabilizing the farm-food economy to subsidizing the agri-food industry. And the farm bill shifted from supporting food production and distribution to food manufacturing and marketing. The primary advantage for row crops like corn and soy over fruits and vegetables is that field crops were easier to industrialize and it was easier to develop farm policies to mitigate the risks inherent in their industrialization. For example, fruit and vegetable production involved potentially hundreds of different crops and production systems, whereas commodity crop production has been specialized to include just a handful of plants—corn, soybeans, wheat, rice, sugar cane, beets, and a few other others—using standardized production practices. With this standardization, farmers were able to grow and consolidate, and farms became larger, and owned by fewer operators. Farm consolidation made it much easier to influence the efficiency of production using a simpler and more manageable set of farm policies such as crop insurance and commodity-linked direct payments. You see, only about 15 percent of retail food costs paid by consumers are accounted for by the cost of agricultural raw materials paid to farmers. This is down from 35 to 40 percent during the 1960s and early 1970s. The “non-farm” food costs include transportation, manufacturing, packaging, marketing, and corporate profits. For example, the farm share of a consumer’s dollar spent for fresh vegetables is about 25 cents but is only about 5 cents for bread, because the cost of bread includes more manufacturing, packaging, and advertising. I just want to say thank you so much for writing this article. It's very well written and you point out a lot of the issues in American agriculture today. This actually reminds me of a combo of two documentaries I recently watched, "Saving Capitalism" & "What The Health" . It touches on how major corporations have influenced our culture and beliefs on what's good for us. Misleading advertisement is to blame for our obesity and health issue epidemic. This is actually what's inspired me to use my food science background to educate the public about the food system. I just wish we had more people taken action. Again, thank you for putting this together! $2.99 for a bunch of carrots. That must be a really big bunch, or organic. Well, if the twinkies were organic, i'm sure they would've been $3.99. It seems so obvious, that it’s infuriating to understand how & why we’re in the current situation with farms/food. Thank you for this article. Excellent and to the point regarding the social/industrial structure. Of course farmers don't make money selling Twinkies and only make "real" money if they sell the carrots at retail themselves. Nicely written, the discrepancy between healthy living and less healthy living spans education, housing, health care, environmental quality and food. Hence, its not just a food issue. And the food issue is not solely Gov. subsidies. Our American pop'n is quite ignorant when it comes to making economic and healthy living decisions; sounds harsh but true. Everyone in the US can eat healthier, in essence avoid as much boxed, bottled, canned, and bagged foods in their daily meals, but to do so takes more time to shop and prepare. If you are Time-Poor like millions of Americans you eat junk that is omnipresent, convenient, and quick to prepare and consume. The choice is logical for those who are underpaid, over-worked, and time-poor. This article touches the realities and obstacles we face working for grassroots change. The argument of what is healthier requires complex responses. What I find discouraging is the responses coming from leaders and teasing out the actions required to solve terrible problems. We all know that agri-business is not the answer to solving hunger nor is it the answer to healing our lost soil and environment. Poverty is a complex system of opportunity, education, fair wages and social constructs that perpetuates ignorance, bias, and greed. The good news is that many communities are working extremely hard to approach these issues in a multi-dimensional approach. Community building, education in seed-to-supper programs and Food Policy Councils that can work towards a geographical food-sysem awareness helps this paradigm shift we need. Educating our neighbors and ourselves. Working on these issues, this is where the riches are sometimes deeply hidden and need to be discovered. One of the best books I’ve ever read that thoroughly explains the reason behind food insecurity is Diet for a Small Planet by Frances Moore Lappé. In a sentence; food inequity is not caused from financial inequality, rather, a skewed distribution of power.